What would winter be without a poncho? Be chic while keeping warm this winter. The perfect alternative to a winter coat. Not only stylish but versatile too. definitely not your ordinary poncho. 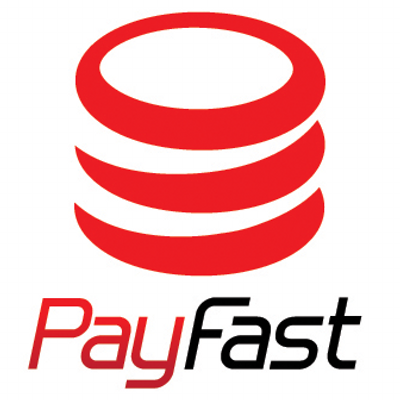 Payment needed to be done to finalize order on Sell-SA via the following options: 1.PayFast Payment Option: A variety of payment methods through the familiar and trusted PayFast interface. We process MasterCard and Visa credit cards, Instant EFT (with SA’s four biggest banks), Masterpass, credit facility mobicred and digital payment method Bitcoin. 2.SID (EFT only) Payment Option: Pay Directly From your Bank. Quick and easy, no waiting for funds to clear. 3.Sage Pay Once payment was successful, you will receive a message from us, to confirm your order. Your package is now on its way. All payments must be received before an order is finalized. Delivery to the customer shall be 7 (seven) working days from date of receipt of payment. Delivery is done by courier service BEX : All products except promotions/sales items are delivered within 5 to 7 business days Promotional/Sales products are delivered within 10 to 15 days where indicated. Returns can only be done within 7-14 working days of order. RETURNS ARE PERMITTED WITHIN THE FIRST 6 MONTHS IN THE FOLLOWING CIRCUMSTANCES: *Where goods have been incorrectly supplied. *Where the goods sold are materially defective. Not suitable for the purposes for which they are made or designed and that the defect affects the usage of the item. The Happy Shop For Family & Home reserves the right to inspect the goods once they have been returned, which inspection may take up to 10 working days, before offering the Customer recourse on the matter, which may include, but is not limited to: A full refund where the goods are found to be materially defective due to a manufacturing fault or defective batch of goods OR A store credit to the value of the goods A replacement of the goods with the same or substantially similar items Returns shall be processed via the Website or Online Platform within 5 days of purchase, and which fall within the "cooling off" period in terms of the Consumer Protection Act (CPA). Any such return shall only be accepted if the goods are in their original packaging, All tags are still attached, unused and the Customer is able to provide a valid, dated proof of purchase. Once the stock has been returned and a refund has been accepted, payment of the refunded amount shall be made into the customer’s account 7 to 14 days from date of approval of that refund. RETURNS NOT ACCEPTED: The Customer has 'changed his mind' or no longer wants the item after the purchase has been made. No returns on Underwear, sleepwear, Swimwear or lingerie. No returns on personalized or custom made No returns on Earrings, including studs, piercings, hair pieces.. No exchanges on electrical products that have been used, tested or are otherwise are not defective. Where items were willfully damaged, weather conditions, power failure, electrical surges, circumstances outside our control. EXCHANGES: We reserves the right not to process exchanges for any reason whatsoever, subject to sections 55 and 56 of the Consumer Protection Act of 2008, as amended. Should a customer, be unhappy with the color, type, spec or quality of goods supplied, we, will process a cash refund or store credit to the customer which may be used for the purchase of other goods on the website or online platform. Goods that are returned to shall be treated as returned items and a store credit or cash refund shall be processed to the customer in lieu thereof. The Happy Shop For Family & Home was established in 2018. I am very passionate and ultimately focused about providing the best products and absolute outstanding customer service. When having a problem, please message me before contacting SellSA, as at all times I will be more than happy to resolve it at first, for you to have the best experience shopping with The Happy Shop For Family & Home. Welcome to send me a message when in need of something which is not as yet in my shop, and I might find it for you. Also please do me a favor of rating your product and service after delivery. As said I am always striving to give you the best, because you are important and valuable!